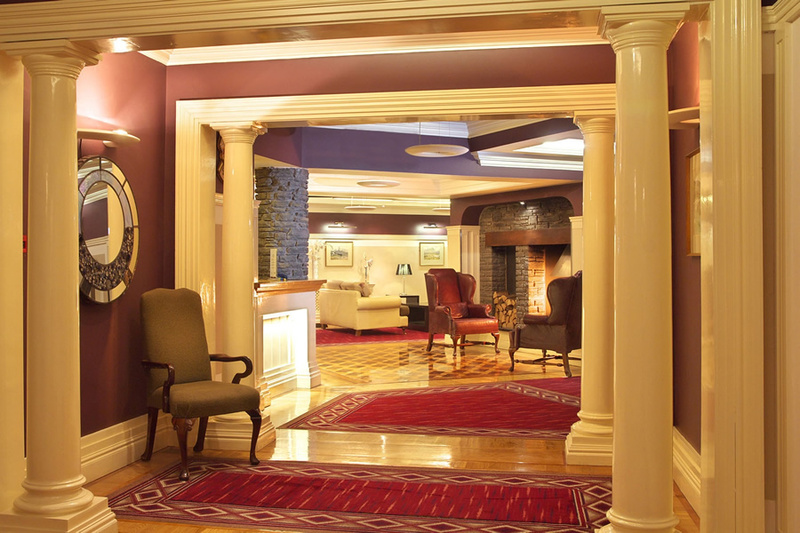 This boutique hotel with swimming pool and holistic therapy suite is in Macroom, between Blarney and Killarney in Southwest Ireland. The hotel offers free parking and reduced green fees on Macrooms 18-hole course. The hotel is right in the center of Macroom on Main street. Macroom offers guided walks around its town, and opportunities for coarse and game fishing. Great Hotel! Really have no complaints, would be a good place to just stop off in and rest your head as part of a bigger journey as there is not a lot to do in the local area. That being said, I was in cork for a concert so I did not explore Macroom this opinion is based off first impressions only. The staff were really really friendly and any queries we had they went above and beyond to try and help us with. The hotel was lovely and clean. The breakfast each morning was lovely a mix of buffet and hot food. This hotel was a real find. We had a wonderful stay. Hotel has parking at the back. Staff were brilliant. Couldn’t do enough for us. Extremely friendly and welcoming. One of reception staff actually moved their car to give us their parking space. Hotel has a lovely cafe and a bar that serves great food we ate there for the four nights we stayed. Breakfast was great. Cold buffet that has everything you could want and order for hot breakfast is taken at the table. Hotel also had a lovely pool and leisure centre staff were lovely too. Our room was very spacious and very clean with lots of storage table chairs and a couch. Lovely and quiet and you could not hear anything from other rooms. Overall this hotel had great character, great buzz in cafe bar and were busy. Staff very well trained and service was excellent. We will be back and I would recommend to anyone going to cork. Great location for lots of tourist attractions and Macroom has a lovely walks around the river. I can’t praise this hotel enough. Oh the Easter bunny left us sweets too. Lovely touch. The hotel was lovely, clean, a beautiful room and very friendly staff.. I was however flicking through the channels on the room's television, and a channel titled "Adult 4" was streaming cctv footage of the local Catholic church which I found quite strange and unsettling.. Our room had a locked door which clearly led to another guest's room as we could hear their television and trad music throughout our stay. But other than those points we enjoyed our stay. My wife and I spent a couple of days in the Castle holiday in July 2016 and were treated really well by the friendliest and most helpful staff we have met in any hotel in the last few years. Facilities and service were spot on and it was definitely great value for money. Location is perfect for scooting around west Cork and again, staff in the hotel were very helpful in suggesting places to go and providing local info and small maps. Great location is the bonus for this hotel as it right on the main street. Pool is lovely with two whirlpools built into it which is great and children can swim into them. Lovely friendly staff and I got a nice big family room (room 223) which I would recommend. Do try it out you wont be disappointed. Excellent overall. Breakfast outstanding. Gluten free option all needs catered for. 6 different cooked breakfast made fresh. Staff very friendly. Lovely base hotel if u like travelling around. We stayed here for 1 night. Staff were very friendly and the room was lovely. We had a room at the back of the hotel. A lot of noise and banging very early in the morning. It has a lovely swimming pool. We would stay here again as we loved the atmosphere of the pub & hotel. A lovely Hotel .Staff really nice and friendly,Shower was wonderful.Bed very comfortable,really enjoyed my stay. Sandra and Brendan Sheehy. Excellent Hotel with great bar food & entertainment, rooms very spacious & we had a lot of fun in the pool, all in all a great stay!!! Have passed by this hotel many times without ever taking much notice but wanted a quick over night stay somewhere last year and got a good deal here. Hotel is located on main street. Car parking is at the back of the hotel via a side street futher down the town. Receptionist was very pleasant. Room was clean decorated a little old fashioned but great not to have run of mill standard rooms. Bathroom was clean but a little battered in places. We ate in the bar and the food was of excellent standard. Breakfast following morning was nice. Not the best I have ever had but nothing wrong with it either. Breakfast room was a little all over the place though. Pool area was very clean. The receptionist was very friendly, the hotel was very nice and the rooms very spacious and nicely decorated. Would recommend this hotel others. 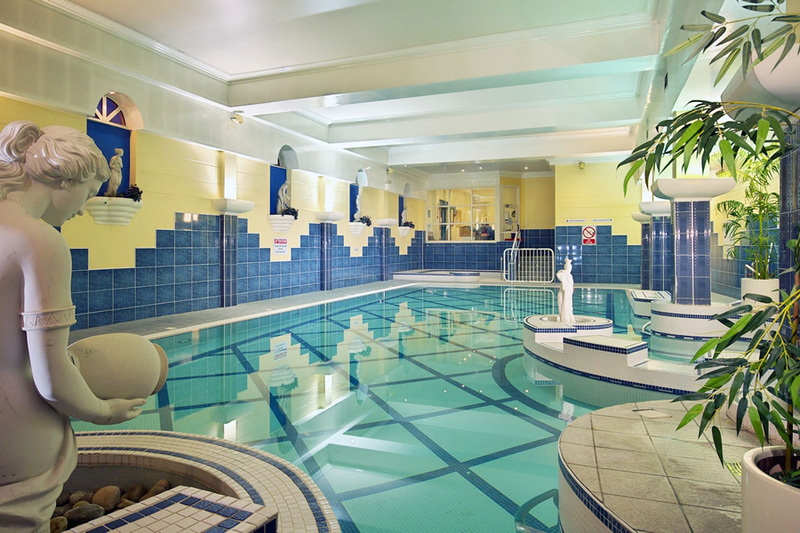 We had a great time staying at the Castle Hotel & Leisure Centre. Food was great, nice swimming pool. The down side was there was a wedding taken place at this hotel on the night we stayed and it was very noisey we got no sleep and we went to bed early as we were attending a wedding ourselves the next day. Friendly, helpful staff, beautiful hotel, highly recommended!! Had an amazing stay in the Castle Hotel! In the middle of Macroom town, which is about 30 mins from Cork city. It was a very spcacious room. The pressure in the shower was fantastic! Didn't avail of the dining room except for breakfast and one lunch. Excellent choice and the dessert was delicious. Our room was located to the rear of the hotel and as a result we had some noise at 6am from the delivery truck outside. Otherwise a really enjoyable stay! 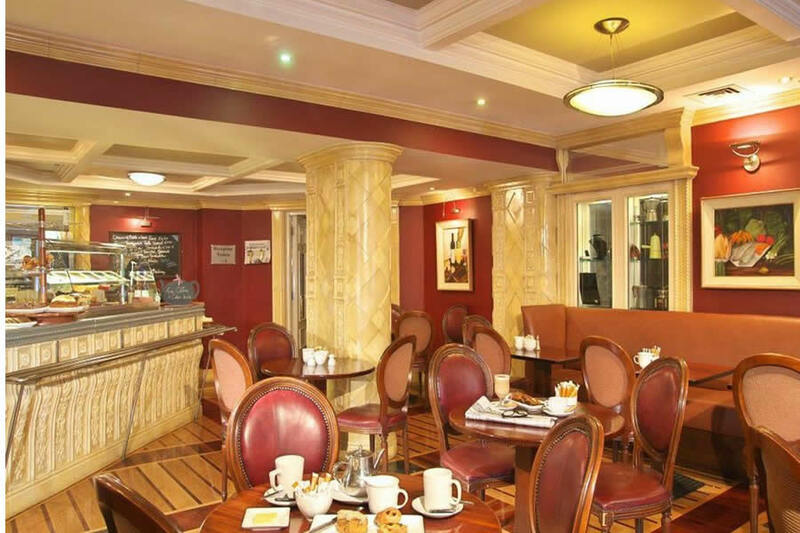 My partner and I decided on a break in Cork this summer and came across this hotel on the web. It is a very friendly place to stay, staff were helpful and the room was clean and quiet for the 3 nights we were there. We ate in the bar the first night. The meals were ok just a little above carvery quality, with a tiny bit more attention to detail they could be much better for example the oil used to fry partners cod in was not hot enough so fish was soggy and oily instead of crispy battered. My roast beef was very nice though covered in an obviously heavily thickened gravy which it didn't really need. The breakfasts were very good but again with just a small bit of extra effort could be great. There are several options, including Macroom oatmeal, which I had everyday which was really good. The fried breakfast was ok but the rashers/ bacon were incredably salty and the sausages looked and tasted value pack. The eggs were grand and I got the sense that most of the breakfast is freshly fried, waiting staff take your order for the hot part of the breakfast. They also had their own brown soda bread which was lovely with Macroom oatmeal in aswell. There was a grand help yourself buffet with cereals, juices, fruit compotes and seeds and nuts for topping oatmeal and other cereals which I thought was impressive. It is one of the best breakfast selections I have come across. With the friendliness of the staff and the excellant price I would stay here again if in the area. from the moment we arrived to when we left we loved this place. The hotel was spotless and the staff fabulous. Without going into detail as it would take too long, let's just say the extra care and dedication by the staff was great. We had the 3 course meal in the bar for 22euro( which included tea and coffee) so 4 course really, the food was great again and top value for money. The pool etc were adequate for a short stay and rooms spotless. Hell! What more do you want!!!!! As Arnie said "I'll be back"